Photo booths are a trend these days and people just love to gather around it and click countless pictures. Wedding functions seem incomplete without photo booth these days. 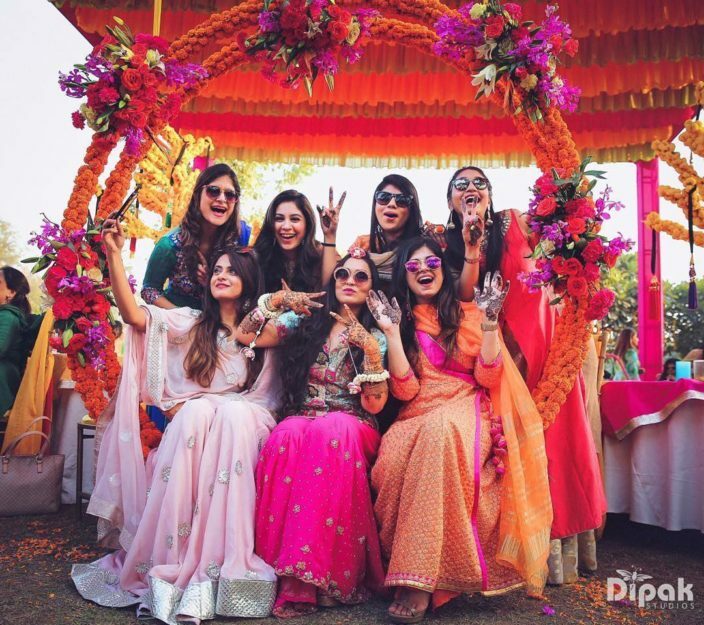 Be it your friends, sisters, brothers, mama, mami, chacha, chachi or anyone, everyone just love to click pictures at the photo booth. 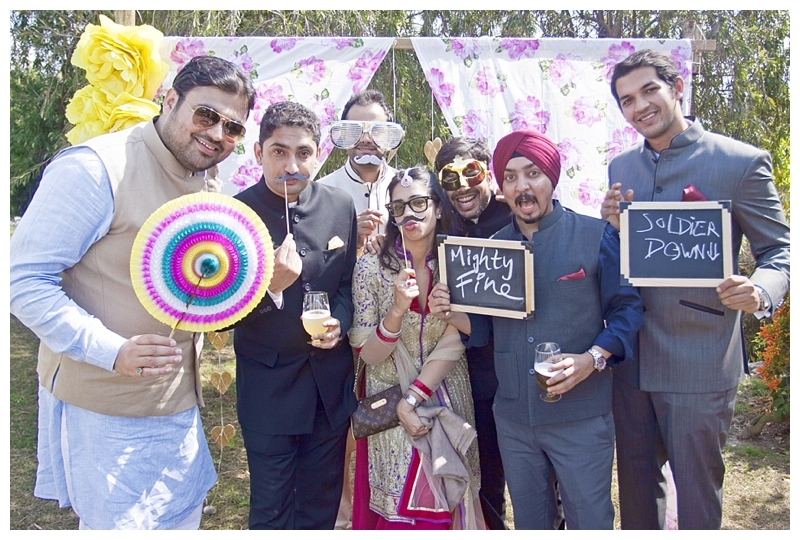 There are so many photo booth ideas that can make your wedding function a super hit. Here are some of the most awesome photo booth ideas. 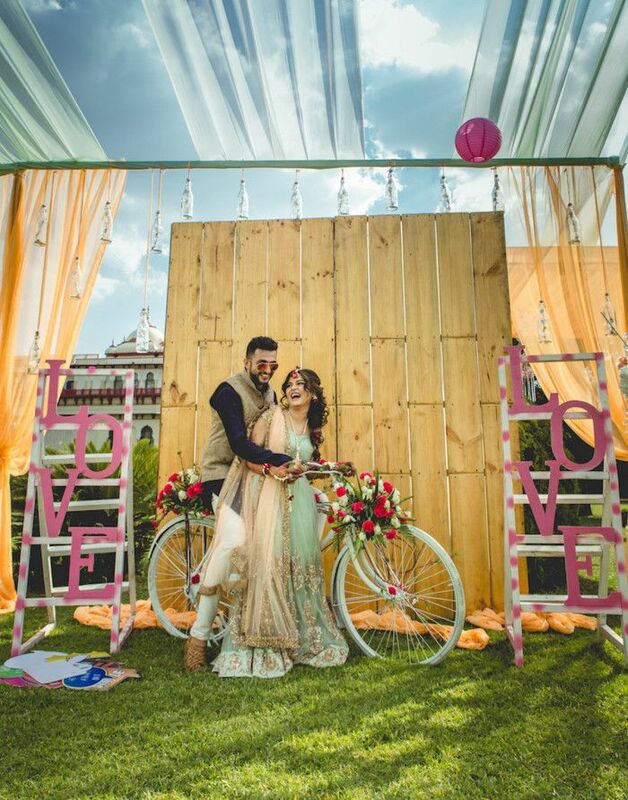 The setting of fresh flowers surely make a romantic setup for your photo booth. 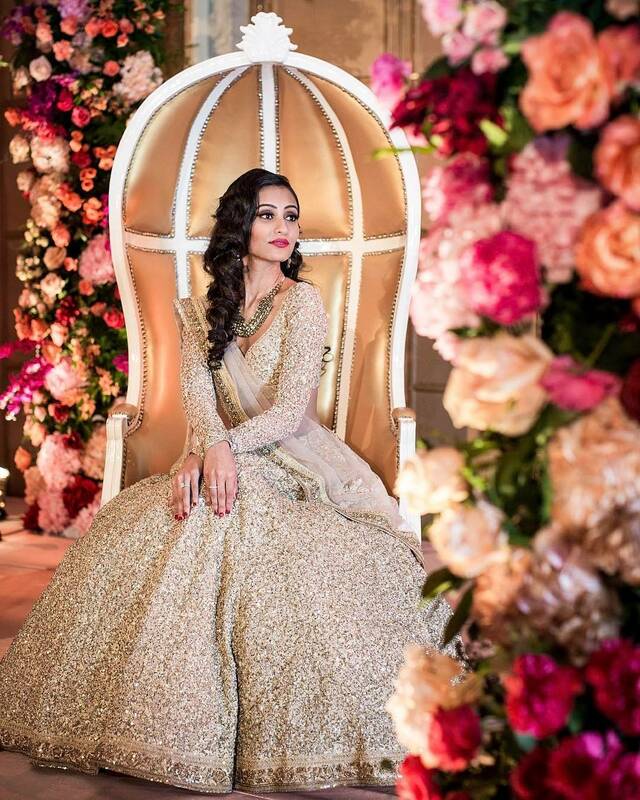 Here you can surely get some princess like pictures and elegance will be redefined. All you need is some beautiful and fresh flowers and a romantic setup. These are one of the most trendy photo booth ideas. People are surely going to love it. 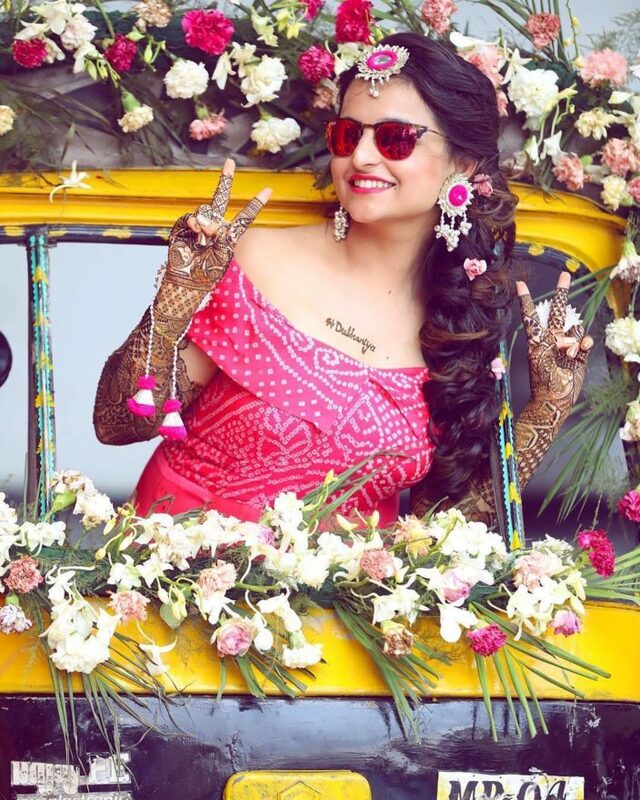 Pick a vehicle of your choice, like scooter, cycle or an auto rickshaw, decorate your vehicle with some fresh flowers and bright colours and you are done with your awesome photo booth. This is surely a cool photo booth idea. The frames look really nice and there could be so many frames with several designs. 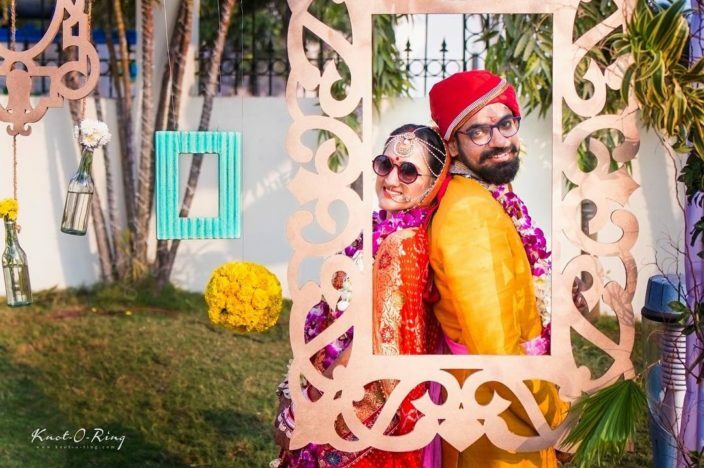 Fun colorful frames in different shapes and sizes are one of your best outdoor props and photo booth ideas. 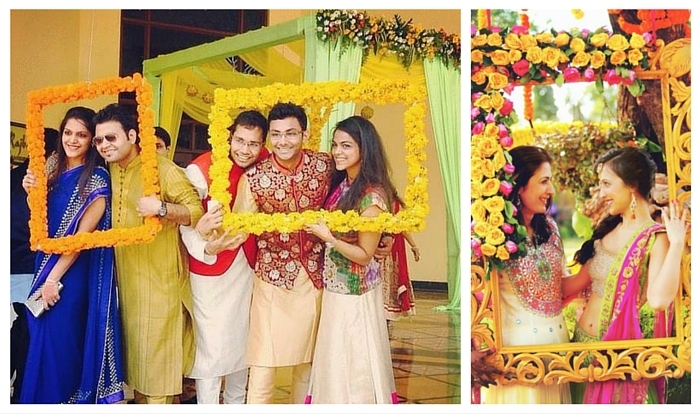 Choose some floral frames and bright colored frames, they will look really good for your day time wedding functions. 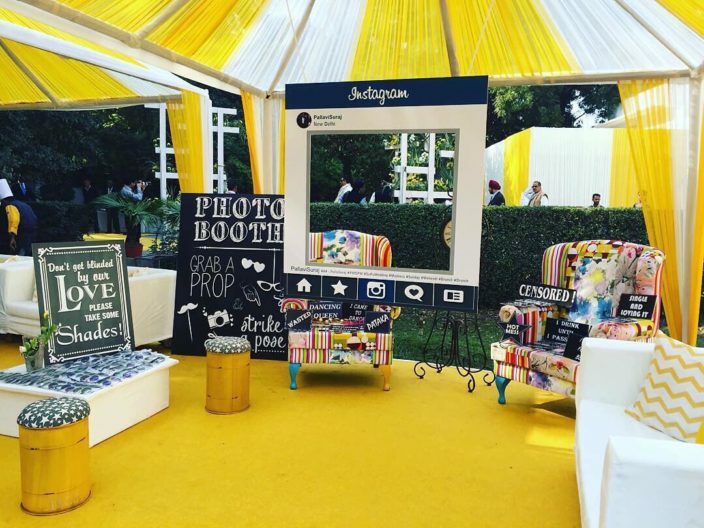 A photo booth straight from your Instagram and facebook handle is just too awesome to handle. They are surely one of the most unique photo booth ideas these days. They look trendy and people will definitely go crazy for these. People are for sure going to steal this idea of yours. 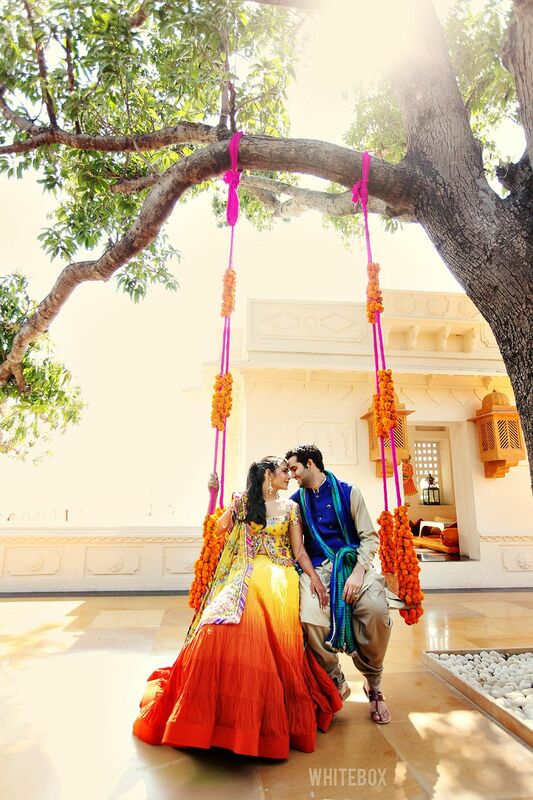 The beautifully decorated jhoolas are surely the perfect photo booth for your group shenanigans and the romantic shots. 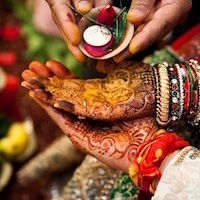 Decorate your jhoola with some beautiful lights and fresh flowers and your royal photo booth is ready to click umpteen pictures. No! We mean literally walls covered with flowers. Doesn’t it sounds amazing. Well, it looks even more amazing. 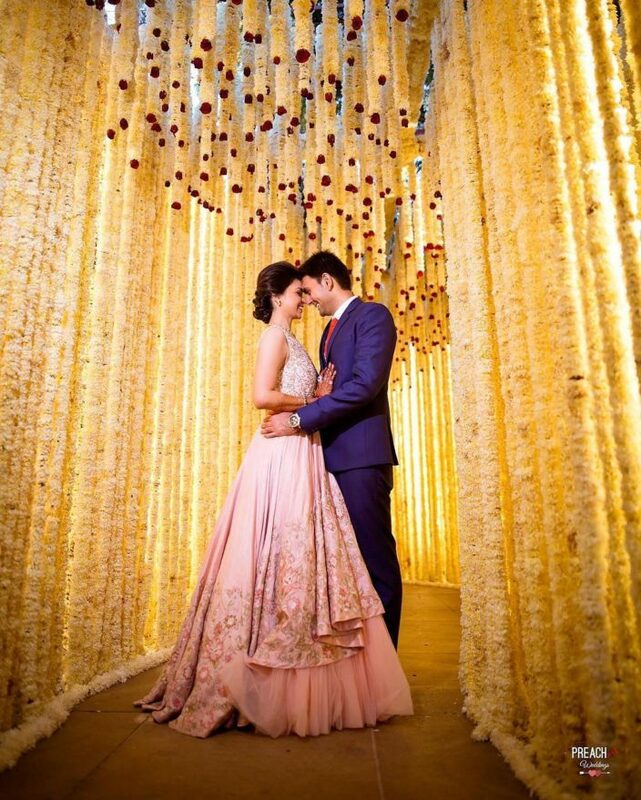 Walls covered with some beautiful and bright coloured fresh flowers is just one of the most amazing photo booth ideas. It will definitely leave your guests stunned. Just pick up your favourite flowers and ask your artist to doll it up for you. 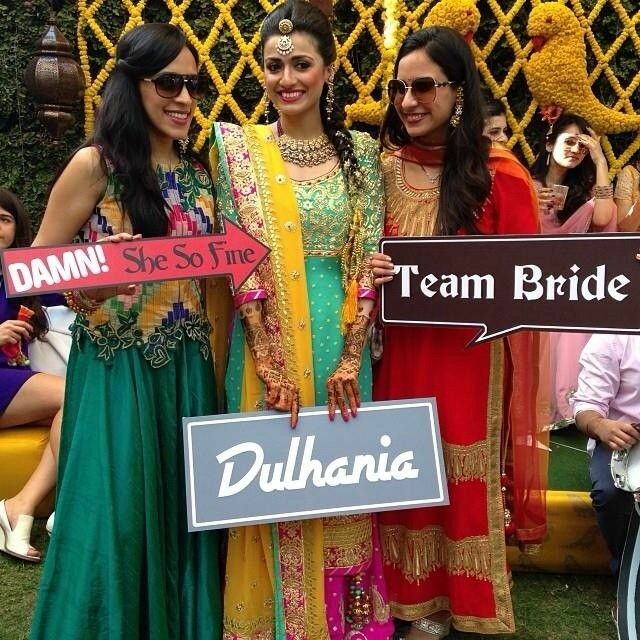 Get the right props and placards to add some humor to your pictures. 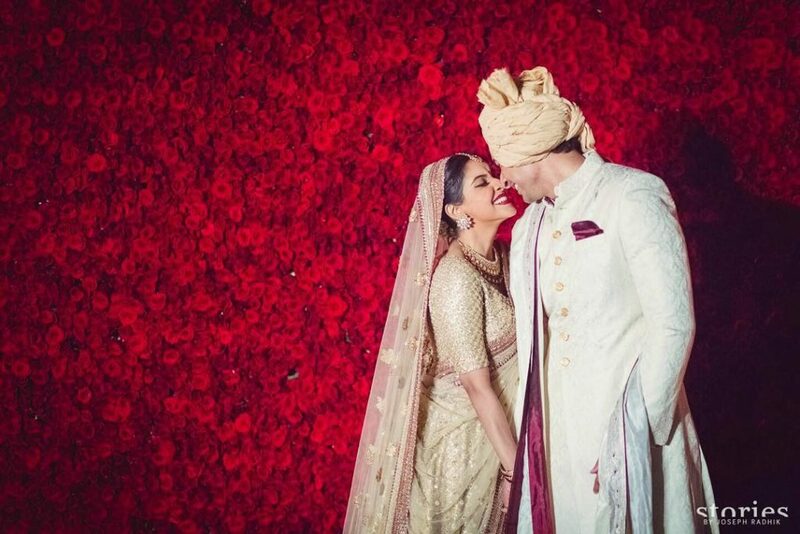 Filmy dialogues, floral crowns, furry scarves, hookah, goofy over-sized glasses, mustaches, stylish hats, status updates etc. All of these props will surely make a fun and amazing photo booth. Your friends and family will love it and would just stick to the photo booth to click some cool pictures for their social media profiles. 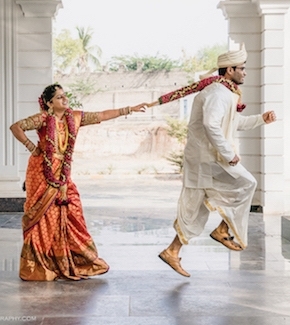 Here we have seen some of the most amazing photo booth ideas for your wedding function. 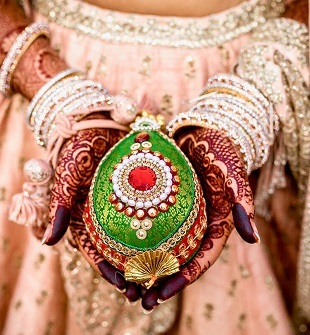 Weddings are the time when people click millions of pictures and update their social media display pictures for sure. 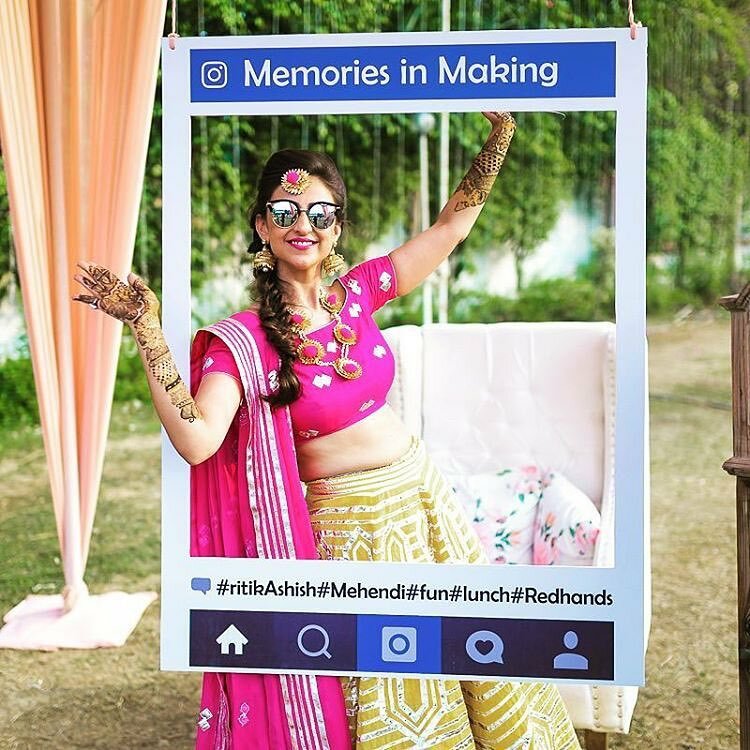 Make sure your photo booth is trendy, colourful and photogenic. Pick some bright colours and fresh flowers. People love to gather around it and click pictures.